UNITED NATIONS, December 30 -- Helen Clark, who has yet to hold a UN press conference since taking over at the UN Development Program, is reportedly set to receive New Zealand's "highest accolade, becoming a member of the Order of New Zealand." There is only one problem: this would appear to violate UN system rules. UN Staff Rule 1.2 provides that "No staff member shall accept any honour, decoration, favour, gift, or remuneration from any Government....If refusal of an unanticipated honour, decoration, favour or gift from a Government would cause embarrassment to the Organization, the staff member may receive it on behalf of the Organization and then report and entrust it to the Secretary-General, who will either retain it for the Organization or arrange for its disposal for the benefit of the Organization or for a charitable purpose." 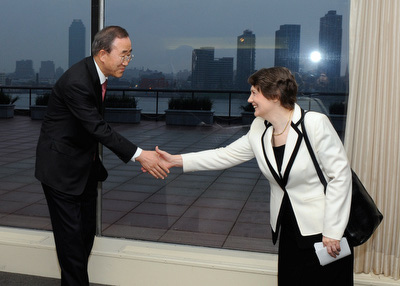 So does Ms. Clark intend to pass the honor along to Ban Ki-moon? Inner City Press has asked Ban's Spokesperson's Office about the case, on deadline. 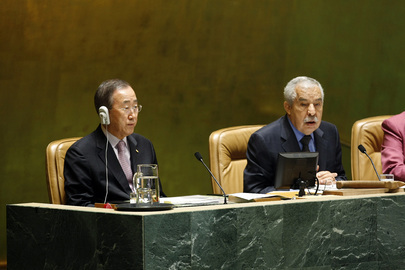 Is it Ms. Clark's claim that to refuse the honor would somehow "embarrass" the UN? Inner City Press has previously reported how Ms. Clark used UNDP resources to promote herself back in New Zealand, and how while dodging the press corps at the UN in New York, she has even come into her office early on a Sunday to appear in New Zealand media. Para 2. Given the importance attributed by the Organization to the requirement that staff are, and are perceived to be, independent and impartial, staff members are reminded that they may not accept any honour, decoration, favour, gift or remuneration from any Government. This rule applies whatever the reason for the award, even if the award is unrelated to the staff member’s service with the Organization. By its terms, this is open and shut. But Ms. Clark, for example, refused for months to meet with Cameroon's Permanent Representative to the UN, who wanted to argue for his country's candidate for the number two UNDP post, which he and other African Ambassadors said was promised to Africa. Ms. Clark preferred a woman from Costa Rica, Rebecca Grynspan, and so refused to meet with Cameroon's Ambassador. More recently, the Deputy Permanent Representative of a major South Asian country ridiculed Ms. Clark as a do-nothing official, only interested in promoting herself. 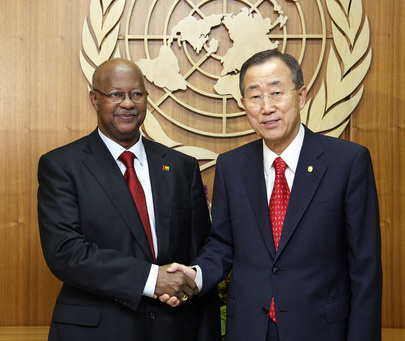 There are UNDP corruption scandals in China, Uganda and elsewhere. Under Ms. Clark's "leadership," UNDP has dallied five months already in investigating a nepotism scandal in which the UN's top envoy to the Congo Alan Doss asked UNDP to break the rules and give a job to his daughter, which was done. Now Helen Clark prepares to accept an award from New Zealand, in violation of UN rules. But will anyone stop her? See update here and below. UNITED NATIONS, December 31 -- "I've spent a lot of years at the top," Helen Clark was quoted about accepting the Order of New Zealand honor. At the UN in New York, Inner City Press asked how her receipt of this honor doesn't violated applicable UN rules, which contain no provision for waiver. After deadline Wednesday evening, the UN Spokesperson sent a reply that "you asked about an accolade being received by Helen Clark of UNDP. UNDP has informed us that, in accordance with the relevant rules, Helen Clark informed the Chef de Cabinet of the honour she is to receive and was informed that she could accept it." I have just been informed that you somehow waived the Staff Rules with regard to USG Helen Clark receiving an honour from New Zealand. b) that you provide a list of instances in the past three years you have waived this rule, and requests for waiver that you have denied. The following morning, having no response, Inner City Press sent the above again to the chief of staff, explicitly to "do everything possible to make sure you get this before asking the Office of the Spokesperson at noon." As you are aware, we had previously informed you that the Chef de Cabinet was informed by Helen Clark of an accolade that she is to receive and had told her that she could accept it. Further to that information, we can add that these honours are routinely reviewed by the Ethics Office , which sets specific conditions under which honours can be accepted in particular cases. 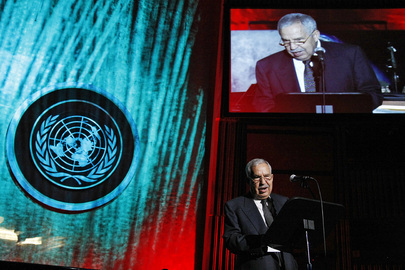 In addition, any such honours conferred to individuals are held by the individuals' respective offices while they work for the UN. We will also share with you any relevant information from the Ethics Office about the rules for accepting honours once we receive it. 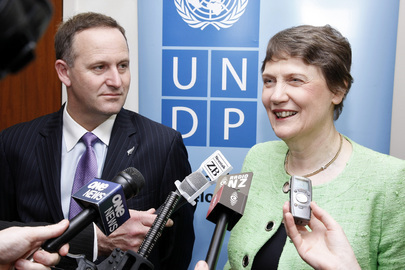 It is entirely unclear how membership in the Order of New Zealand could be "held" by UNDP. In this second answer, the Chief of Staff's approval is grounded, after the fact, in some review by the UN Ethics Office. But when did the UN Ethics Office review Ms. Clark accepting an honor from New Zealand, and why was this raised only in a second response? In fact, when was it, that Ms. Clark asked the chief of staff for a waiver? We have asked the Spokesperson's Office, which closed at 3:30 on December 31. Watch this space. UNITED NATIONS, December 29 -- A Russian expert in weapons of mass destruction, claiming retaliation for having exposed what she called a United Nations cover-up of chemical weapons left over from Iraq, is challenging the UN's termination of her employment at New Years. Svetlana Utkina, who served the UN in Iraq, in New York and most recently on North Korea and Iran, appeared Tuesday in a judicial proceeding in the basement of UN headquarters, saying that if the UN lets her go, she is in danger. The chief of UN Disarmament Affairs' Weapons of Mass Destruction Branch, Gabrile Kraatz- Wadsak, acknowledged that Mr. Markham had forced these two countries names to be removed from Ms. Uktina's employment forms, but said it was so no "bias" would be perceived against the two countries. Ms. Uktina went to the UN Ethics Office, which is ostensiblly in charge of ensuring protection of whistleblowers. 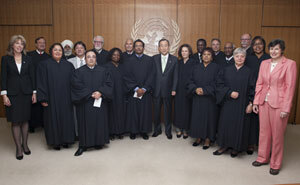 They simply referred her elsewhere in the UN system, leading to the December 29 hearing. Inner City Press, the only media organization covering the hearing and case, first questioned Ms. Utkina in 2007, when five vials of phosgene were found in the closed down offices of the United Nations Monitoring, Verification and Inspection Commission, (UNMOVIC). Story here, video here. On Tuesday, before a gag order was sought, Ms. Utkina alleged that UN "management concealed six days" the vials. 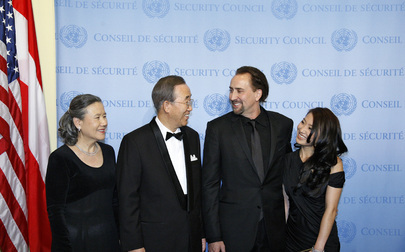 After UNMOVIC was disbanded in 2007, Ms. Utkina continued working in UN Disarmament, in posts funded by the John D. MacArthur Foundation. (Testimony says $2 million was spent on a mere four posts in 22 months). Ms. Uktina argues that it was discrimination and retaliation that she was made to work on projects outside the scope of the MacArthur grant, such that she is now being let go. UN Dispute Tribunal judge Memooda Ebrahim-Carstens asked Ms. Utkina if she currently has an UN security. No, Ms. Utkina answered, but "Hans Blix protected me." She added that she lives in an apartment building -- which Inner City Press will leave unnamed -- where "eighty percent" of the tenants work for the UN, with security video cameras. Ms Utkina said that she could not get a job in the weapons field in Russia because her husband is American, nor in the United States because she is not a citizen. Her degree is as a chemical weapons production engineer. What do you want me to do, she asked, "put that on my Facebook?" The OLA representative countered that the UN "can't give jobs for life." He argued that Ms. Utkina's harm would not be irreparable, that it could be compensated with money if she ultimately wins on the merit. Ms. Uktina cited a medical procedure costing "three times as much as [her] repatriation grant" and the possible need to return half of the UN's $25,000 educational grant for her daughter.